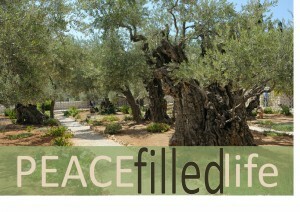 Christians have been given the opportunity to live a peace filled life. Regardless of what the world is doing around us, our lives can be peaceful. There are four kinds of peace that we can experience through the grace of our Lord Jesus. This is a peace that comes from Jesus when he saves our souls. Romans 5:1 Therefore being justified by faith, we have peace with God through our Lord Jesus Christ: We are no longer the enemy of God, but have entered into a peace agreement with Him, through the marvelous work of Christ on the cross. This is a peace that comes from the Holy Spirit as we walk in the Spirit. We have a peaceful life because the Lord is the keeper of our soul; the soul being that part of us inside the body, our mind, will and emotions. Galatians 5:22 But the fruit of the Spirit is love, joy, peace… When we submit ourselves to the Spirit of God, he fills our lives with his fruit. And when the storms of life rage outside, inside we have His peace keeping our soul. This is a peace that comes from a love for God’s Word. Psalm 119:165 Great peace have they which love thy law: and nothing shall offend them. When we love God’s Word, and we hold it dear, it gives us a strong foundation, it gives stability. I don’t get riled up, I don’t get concerned, I don’t get thrown off course by the chaos in the world. People can’t offend me, life can’t offend me, by knowing and loving God’s Word, I have a divine perspective. I see things from Gods’ viewpoint. This peace comes from a biblical way of living. Proverbs 16:7 When a man’s ways please the LORD, he maketh even his enemies to be at peace with him. A biblical way of life, will allow us to live at peace with anyone, even when they are not at peace with us. Jesus lived at peace with everyone around him, no matter how they treated him. When we follow his footsteps, through biblical living, we also can have this peace. Do you know the peaceful life of the Christian? We are at peace with God – through salvation in Jesus Christ. We have the peace of God – through a walk in the Spirit. We have peace with self – through a love of God’s Word. We have peace with mankind – through a biblical way of living.